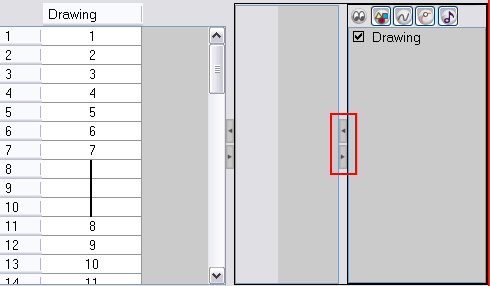 The Column List section allows you to show and hide columns from your Xsheet view. When you hide a layer using your Xsheet view, it is also disabled in the Timeline view. You can use the Column List to hide individual columns or hide an entire column type (drawing or function) from your Xsheet view. By default, the Functions section is hidden. 1. In the Xsheet view, click the Expand button located on the right side of the main section to show the Functions section. Click on the same button to collapse it. You can also use the Show Column List button in the Xsheet View toolbar. 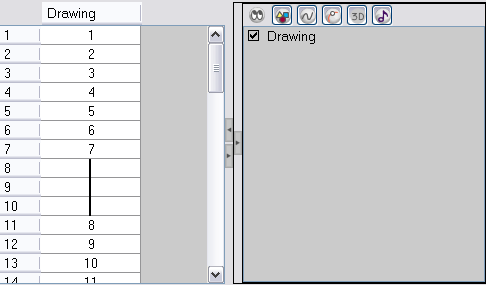 ‣ In Animate Pro, you can also go to the Xsheet View menu and select View > Show Column List. 2. 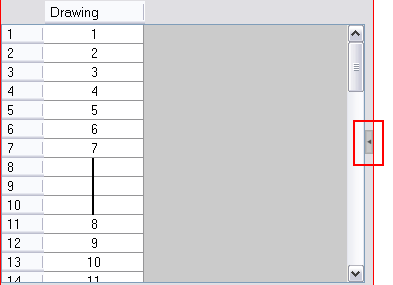 Click the Expand button on the right side of the Functions section to display the Column List section.